On average, a dog dies every three days at a Florida Greyhound racetrack. This November, Florida voters will have an historic opportunity to help thousands of greyhounds by voting to pass Amendment 13 which will outlaw Greyhound racing in the state. Florida is home to 11 out of 17 greyhound racetracks in the United States. Thousands of Greyhounds are bred annually – many more than are needed to race – in an attempt to breed the fastest dogs. These normally docile, friendly, and social dogs are forced to spend up to 23-hours a day confined in rows of double-stacked metal cages that are barely large enough for them to stand up or turn around. 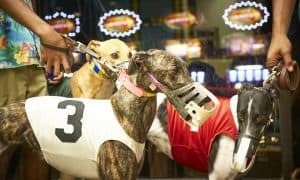 Many racing dogs suffer injuries while racing and, according to state records, a racing Greyhound dies on average every three days on a Florida track. Voting #YesOn13 will phase out commercial Greyhound racing by the year 2020, potentially saving or improving the lives of up to 80,000 Greyhounds over the next decade and put an end to this cycle of cruelty. The video below, Every Three Days includes recent footage of greyhound confinement and deaths at racetracks across Florida. This footage was publicly released by the industry itself, and referred to as the “truth” about dog racing in the state. The video contains footage of the final races for four greyhounds that died at Florida racetracks in 2017. It also includes footage of greyhound confinement that was publicly released by Sanford Orlando Kennel Club in 2014. Finally, the video contains footage of greyhound confinement that was shot in 2017 at Orange Park and Sanford Orlando Kennel Club, and publicly released by an industry supporter. • On March 31, 2017 a two-year-old greyhound named FF Adam was destroyed after he fell during a race at Sarasota Kennel Club and broke multiple bones in his left front leg. • A 23-month-old greyhound named Flippin Bubba died after suffering a broken back during a race at Orange Park on October 14, 2017. He was destroyed a day before his second birthday. • A two-year-old greyhound named ZZ Top This died after he fell and suffered a broken back during a race at Derby Lane on October 21, 2017. • Greyhound racing is oftentimes fatal. On average, a greyhound dies every three days on a Florida track. Of these dogs, 94% were three years old or younger. • Greyhounds are routinely drugged, and female dogs are regularly injected with anabolic steroids in order to keep them racing. More than 400 racing greyhounds tested positive for cocaine, novocaine, oxycodone, and lidocaine in the last ten years. • The life of a racing greyhound is marked by loneliness and boredom. Approximately 8,000 greyhounds are cruelly confined in a given year, spending 20 to 23 hours a day confined to double-stacked warehouse-style metal cages that are barely large enough for them to stand up or turn around. Instead of blankets or bedding, dogs are only provided shredded paper or discarded carpet pieces. • Serious injuries, including broken legs, paralysis, head trauma, and broken backs, are common in greyhound racing. Dogs have also been electrocuted after touching the track’s high voltage lure. Some dogs actually die on the tracks, others are euthanized behind closed doors. • Only two states, Florida included, do not publicly report on greyhound injuries. However, Seminole County began tracking greyhound injuries in May 2017. Seminole County has reported 64 greyhound injuries since beginning tracking. • Greyhound racing is a dying industry. Only 17 operational dog tracks remain in the United States. Eleven of these tracks are in Florida. • Amendment 13 will phase out greyhound racing in Florida by 2020. In addition to helping thousands of dogs, Amendment 13 will reduce gambling by roughly $200 million per year. • Opponents of Amendment 13 claim greyhound racing has economic benefits. The opposite is true. Since 1990, tax revenue from dog racing has dropped by 98%. A state commissioned study determined Florida loses between $1 million and $3.3 million annually because regulatory costs exceed revenues. • Amendment 13 is, in part, the result of the Florida legislature’s failure to act. Industry lobbyists have worked aggressively to defeat even small measures to reform greyhound racing. For example, bills that would have mandated the reporting of greyhound injuries and prohibit the use of anabolic steroids were introduced and failed. 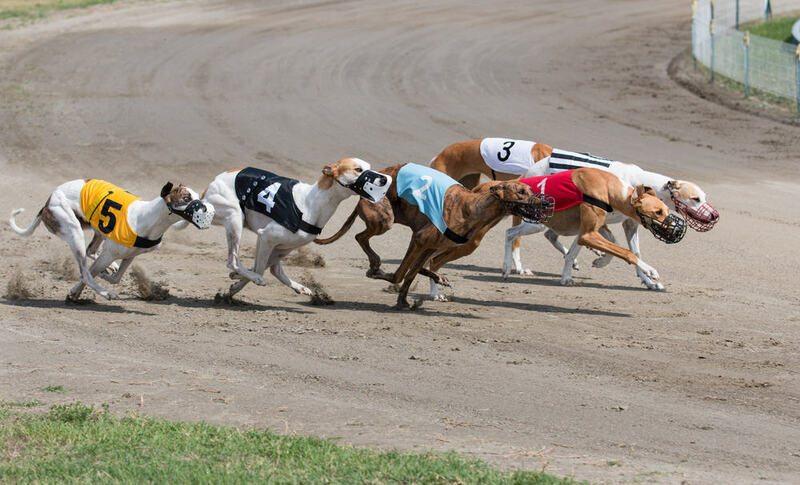 The greyhound racing industry will not change – lobbyists even attempted to pass a bill that would legalize small amounts of cocaine in dog racing. Most Floridians do not support this cruel “sport.” Amendment 13 gives voters the power to end it. This November, Florida voters will have the chance to change the lives of Greyhounds in the state, and ultimately around the country, for good. Please, vote YES on Amendment 13. 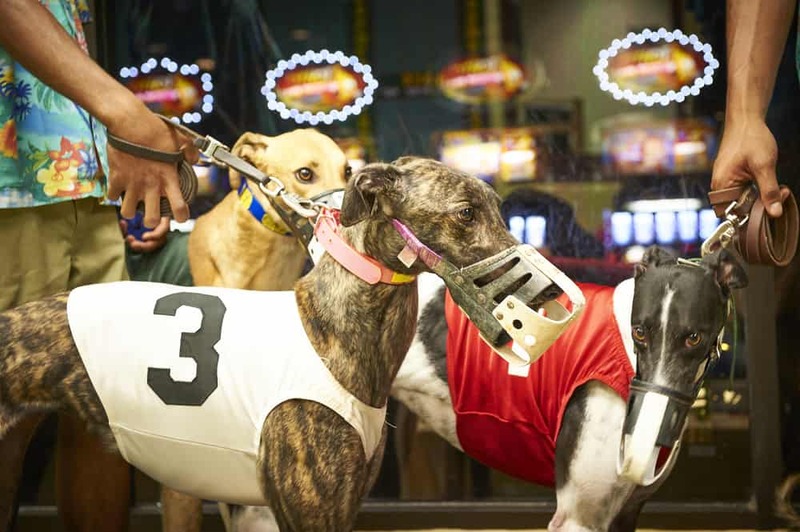 As 11 of the 17 greyhound racing tracks left in the United States are located in Florida, passage of Amendment 13 will create momentum for the other five states with active race tracks – Alabama, Arkansas, Iowa, Texas and West Virginia – to pass their own bans. Can we use proper English to describe what happens to these dogs? Using the word “destroyed” makes it sound like it happened to a non-living thing. A house can be destroyed, a car is destroyed. These dogs are being killed, losing their lives, dying, or being euthanized. I will be voting YES.